Well, this was actually on Friday! A great way to clean out the fridge and cupboards before leaving on vacation!! One more day until we take off for our Lake Tahoe road trip. Going on road trips is nothing new for our family but we will be breaking new ground on this trip for a few reasons. For one, we are going off our normal beaten path where I know where every rest stop, playground, mall and gas station is by heart. And we are also bringing our pop-up camper and camping the whole way. Yes, 8 nights in a camper at 3 different campgrounds. We have truely lost our minds!!!!! Oh, and of course the 80 lb dog is coming along too, just to add a little more excitement! I spent the day packing and organizing. I got the girls' activities bags all prepared and wanted to share some of the contents. Fruit loop necklace making - each bag contains fruit loops and lacing string with a button tied to the end. Hoping this one lasts a good 30 minutes for making and then time to eat too!!! Homemade weaving loom - my older daughter loves to work on these so I thought it would be a good project to do in the car. Books on cd, music cds and dvd's And my "magic trick" is to bring along windex wipes to fix any smudges and scratches that have gotten on them. It works like a charm!!! Other items we are bringing along: puppets, magnet boards, activity books, lots of books for reading, etch-a-sketch, magna-doodle and lacing toys. You get the idea!!! I found some fun printable games like car bingo and state license plate search here. We also like to play games like "I am going on a picnic" alphabet game, "I am thinking of" 20 question type game and "Guess my number". I am sure we will invent a few new ones on this trip too. And don't forget the food, food and MORE FOOD!!!! I think one of the reasons my girls do so well on car trips is that all food rules are thrown out the window along with any normal screen time rules. They watch way too many videos and eat way too much junk food but I figure killing a few brain cells is worth it for quality family time! RIGHT????? I also have discovered the more videos they watch in the car, the more quality reading time mommy gets!!! I have 4 books in a pile waiting to be read and I am hoping to get through all of them before arriving home. Daddy has audio books loaded onto his Ipod to listen too while he drives so he doesn't go crazy listening to kid music and videos! So wish us luck and hope we arrive home with our sanity in tact. Well, at least as in tact as it was when we left!!!! YIPPEE!! I got it done! I was having a hard time concentrating on the packing and laundry that I need to do so I decided it was best to just get the layout completed and now I have no excuses!! I think it turned out nice and was a pretty quick layout to get done. Now on to packing! The past two months, my craft time has been almost non-existent. Wrapping up the end of the school year for Madison and the end of Mom's Day Out for Nora took up all my free time for awhile. It was fun planning field trips and carnival activities, making art portfolio books and more; but I really missed my own craft time. I am happy to report that yesterday I made some good efforts to get started again! The first big challenge was just to get my workspace cleared and organized. While dealing with the piles, I unearthed some bleeding heart photos I had printed months ago in hopes to make some notecards so I got those taken care of. 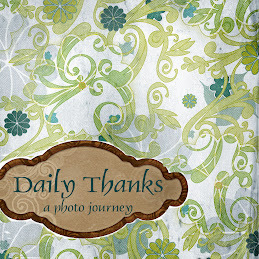 Then I got down to the serious business of starting a new scrapbook layout. This one is going to be "Book Buddies", all the many random photos I have of the girls reading books with people. It is going to be very fun and colorful when done. Hopefully I will be able to post the final result soon. I am looking forward to many happy hours of crafting in my room this summer since I don't have other commitments with PTA and such until the school year starts up again! First day of summer vacation today and the girls were quite content to waste the day away inside being lazy. Finally, I had to force them out the door for some fresh air. They whined and complained the whole way out the door but the minute they were out they were happy and content. They created their own special game that I thought deserved a blog post. First you find some nice sized flat leaves that float well and make a prediction on how many rocks it will take to sink the leaves. Then start putting rocks onto the leaf. The girls had fun experimenting with different sizes of leaves to find out how that effects the results. It is now 2 hours after I have forced the girls outside and we are still out in the sun. They went for a long bike ride, played with water, were beavers building dams in the mud and now are tracking down a frog attempting to catch it!! So I sit out in the front yard blogging in the sunshine! Have I mentioned how much I love my laptop???? 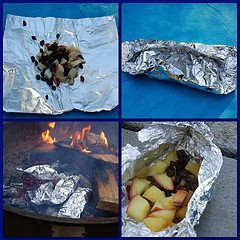 This is a great craft activity to do camping because you need to bring only one material from home - contact paper. Everything else comes from nature! And it is a great way to keep a special memory from each camping trip you go on. We found this a great activity to do while the girls were waiting for dinner to be cooked and were getting a bit whiny. It kept them entertained and interested until the food was ready to eat. First go on a nature walk around camp and choose some flowers, grasses and leaves that are your favorites. Then lay the items onto a piece of contact paper cut into the size you want for a bookmark. Lay another piece of contact paper the same size over the top and VOILA, you have a bookmark!!!! How easy was that???? And don't forget to bring the books on your camping trip for reading time. Another easy activity to do in a moments notice when the girls are getting a bit cranky! Chalk is always a staple in our pop-up camper. The girls can draw on rocks, roads, trees..... to stay busy while the parents are setting up/taking down camp. Breadstick crackers with peanut butter for dipping, carrot sticks with catalina dip, ham, shredded cheese, grapes and flower shaped bread cutouts. I am looking forward to a better go at it next week and will post again. Go to Katy's blog to see links to other people participating in the challenge and try it yourself!!!! We just returned from a fabulous camping weekend at Deception Pass State Park. After a spring with horrible weather, we were blessed with sunshine! It was a wonderful weekend to unwind and have lots of quality family time. The girls had a blast and kept thanking us for taking them camping and Nora cried when we left the campsite this morning saying she didn't want to go home. So this week, my blog will mainly be dedicated to camping tips and activities along with lots of beach pictures from our weekend. I hope some of the ideas will help other readers when they go camping and may even inspire someone to go family camping for the first time. Yes, it is alot of work but it is also very rewarding! The smiles ang giggles were well worth the effort. I sent these in with Madison to school yesterday for her birthday treat. The kids seemed to enjoy them alot and maybe they weren't quite so sugar loaded as the typical cupcakes!!! I am making a huge bunch of these for the school carnival on Friday. Happy dipping!!!!!! Thanks to SycamoreStirrings for the link to Pepper Paints for this very yummy pretzel recipe. 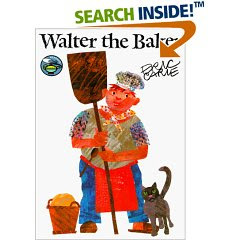 We read the book Walter the Baker by Eric Carle and it seems his techniques were the same as our recipe. I am sure the king and queen would be pleased with our results, though the appearance wasn't your perfect pretzel. The girls had a fun time rolling and squishing the dough AND definitely eating the pretzels!!!! YUMMY!!! A rainy day indoors when we are MORE than ready for spring/summer weather dictated a fun activity that would get the kids moving around and having some fun. Nora, my 3 year old, has been a bit obsessed with rhyming lately. We have been hearing alot of "does that rhyme mommy" or "this is a rhyming book". So while the girls were having their quiet time I went around the house hiding special clues. Each clue had a rhyme the girls had to finish to find where the next clue was. Some examples were "use your brain power, look in the ______"(shower) or "it is small enough for a mouse, look in Madison's doll ______"(house). Yeah, they are a bit cheesy and lame but I promise they are a big hit with the 3-6 year old crowd! I tried to alternate the clues from upstairs to downstairs to force a bit more activity and running around. The girls ran around the house giggling and having a great time. My older daughter was in charge of reading the clues and my younger daughter did really well figuring out the rhymes. Popcorn fixings for a yummy snack. It always amazes me how excited the girls get to make air popped popcorn. They love watching the process and of course, eating it is good too. And the girls always think if we have popcorn then we need to do puppet shows (we take turns performing the show while the other 2 are the audience eating the popcorn)! So that is how the afternoon ended. Maybe we will get some sunshine tomorrow to get outdoors. 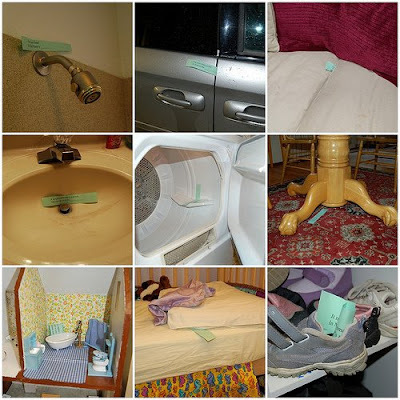 If not, I have a feeling there will be requests for more of these treasure hunts. I don't know if I am creative enough to come up with 10 new clues to entertain the troops. Sleeping with her favorite things! Blankies, Books and Bear.